As we co-operate closely with Dr. Böhme & Schöps Dental GmbH, Goslar, Germany, the renowned gypsum specialists, we are able to supply specific gypsums for the complete range of applications required by dental laboratories. This includes high purity natural, synthetic and semi-synthetic gypsums. Our sales representatives and technical consultants would be pleased to advise you. 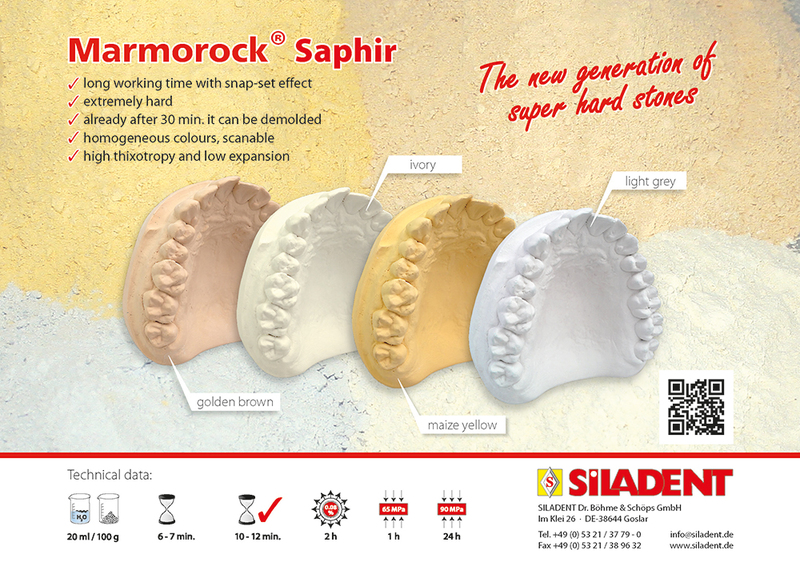 The SILADENT Duplicating technique is based on extremely stable silicones which reproduce details very accurately, flow very smoothly and evenly, are durable and tear-resistant, and exhibit Shore A hardness values from 16 to greater than 24. The successful SILADENT system originates from a flaskless duplicating technique using Adisil® blue. The adhesive tape procedure uses stable, non-distorting moulds with the SILADENT duplicating system to save up to 35% duplicating material in comparison to duplicating flasks. 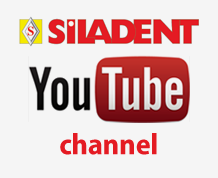 SILADENT investment materials are always one step ahead in their development. For casting partial frameworks or one-piece bridgework we recommend the use of our Granisit® and Micro material. For producing precisely fitting precious or non-precious crown and bridgework using the speed casting technique we recommend Presto Vest, and for preheating conventionally Silavest KB would be the material of choice. For universal use of all types of dental alloys plus all ceramic systems we recommend our Premium investment. For speed casting partial frameworks using a preheated furnace at 1.050 °C we suggest the use of Jet 2000. SILADENT supplies biocompatible, cobalt-based alloys for partial frameworks, various fixed/removable appliances and crown and bridge cases which are highly corrosion-resistant. Their superior mechanical properties allow for slender restoration designs. The following alloys are all suitable for these applications depending on individual requirements: Modiral S, Biral® 2000 H, V-alloy and Keralloy KB. Gipsil enables models to be cast in polyether and silicone moulds without entrapping bubbles. Neutralit and Neutrasil are used on silicone surfaces.